Seeing a sinus specialist is beneficial for patients of all ages. An infection in one of the multiple sinus cavities in the facial area can be miserable for any patient, and those who have experienced the condition know full well what that can mean in terms of pain and discomfort. The actual condition is a result of the sinus cavities within the face and skull becoming inflamed and swollen. The resulting thick feeling is created by a virus, not a bacteria, which means the misery often lasts much longer since there are no real medication solutions for viral infections; you have to ride them out and let the body’s immune system do its work. While it is possible for a sinus infection to be triggered by a bacteria or mold, such instances are rare. Contact our offices today to schedule an appointment with an experienced sinus specialist in order to relieve your discomfort. 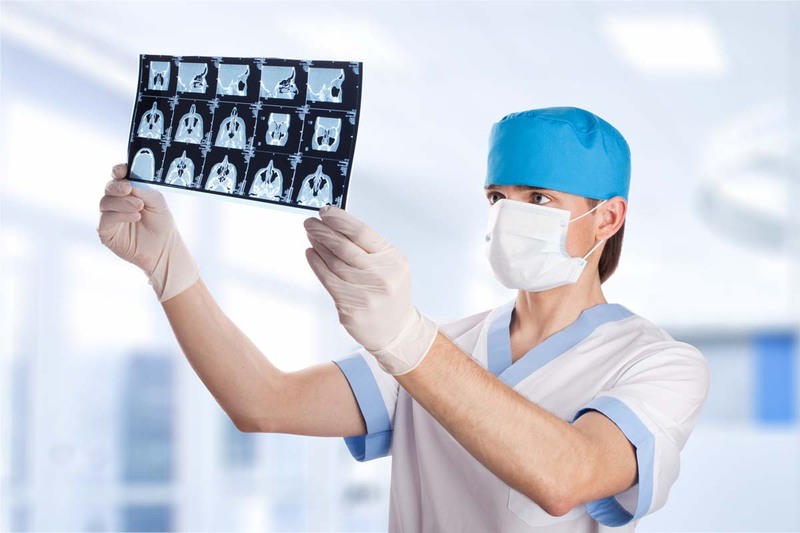 At the University of California Irvine Department of Otolaryngology-Head and Neck Surgery, we have a medical team that is prepared to resolve your sinus problems gently and efficiently. A singular infection can often happen in the sinuses when the body is already weakened by another condition, like a primary infection, sickness or injury. This type of ailment lasts for a short period of time and often clears once the body gets the upper hand and starts to wipe out both conditions with internal antigens. A chronic infection doesn’t go away. Generally, such conditions last longer than at least eight weeks or keeps coming back on a regular occurrence. Just going by physical symptoms alone is often not enough, so the time duration of infection is often the key telltale sign. Additionally, an examination by a sinus specialist and a culture test often provide an alternative confirmation. Internal pain in the head and face is often the most common complaint from patients with sinusitis. This is because sinuses cover the facial area. There are sinus cavities above and below the eyes and at the back of the nasal area. All of these can feel thick with swelling and are painful when inflamed. Many patients have complained of pain even in their teeth as the sensation spreads with time. In addition to the swelling, the sinuses often fill up with fluid as the body starts trying purge the invading cause, creating a lot of mucus that comes out through the nasal exits. With white blood cells kicking in, the mucus will soon change colors as lymphocytes die, surrounding and killing the virus cells. Brown and green mucus is often a result. The mucus can even end up going down the throat via post-nasal drip and gravity. That too can create a secondary infection or inflammation in the throat. Your sinus specialist will review your symptoms to determine the cause of your sinus problems and the best way to treat it. While the sinus pain and swelling is difficult enough, sinusitis often comes with other conditions as well. Congestion is a common symptom as the sinus tissues swell, making air and fluid passage through the cavities hard or impossible. The resulting congestion comes with both a sense of dripping mucus and clogged material that just won’t move. That adds to the pressure and can also affect hearing as the Eustachian tubes to the ears get blocked up. Folks often complain of a loss of taste as well when they cannot smell. Headaches are common with sinusitis. The rest of the cranial area tenses up and then eventually needs relief. Muscles in the area become sore and cramp, resulting in headache sensations and related pain. Coughing is a frequent occurrence. Post-nasal drip will transfer material to the throat area, causing it to become inflamed. Coughing fits can begin as the body tries to clear the air passageway repeatedly from material and fluids. Your sinus specialist will be able to help you determine which symptoms are related to your sinus problems. Sinus doctors may prescribe antihistamines and decongestants to provide temporary relief. These medicines dry out the mucus build-up and cause the sinus swelling to go down. The relief can be effective when it kicks in, but the medication approach is temporary. Eventually, the swelling comes back. A natural alternative some doctors use as well is the suggestion of eating hot, spicy foods. The peppers often cause the sinuses to open quickly, also creating temporary relief. Eventually, the infection will run its course and be eliminated. Chronic sinusitis requires more intervention, and medication may be needed to eliminate the presence of bacteria. In more serious cases, your sinus specialist will look for a fever and signs of an infection in the rest of the body. This can include checking for soreness and checking the lymph nodes. Your doctor will also check to see if there is an underlying reason for the infection to return or linger. This process may involve diagnostic testing in order to determine the cause of your chronic infection. You should see a doctor if you have a fever or if you have a sinus infection that has lasted more than a few weeks. While sinus infections are common, there are many solutions that can be provided so that you can find relief from your symptoms. In general, we recommend that you seek medical attention for any lingering sinus issues or any sudden onset of symptoms that you find uncomfortable so that you can be treated as soon as possible before the problem worsens. At the University of California Irvine Department of Otolaryngology-Head and Neck Surgery, our group of scientists and physicians are board-certified and trained to treat any number of issues affecting the sinus cavity. Additionally, we see patients for issues relating to allergies, thyroid and parathyroid conditions, breathing problems, balance and hearing, and facial and aesthetic surgery. Contact our offices today to learn more about how one of our sinus specialists can help you find relief.